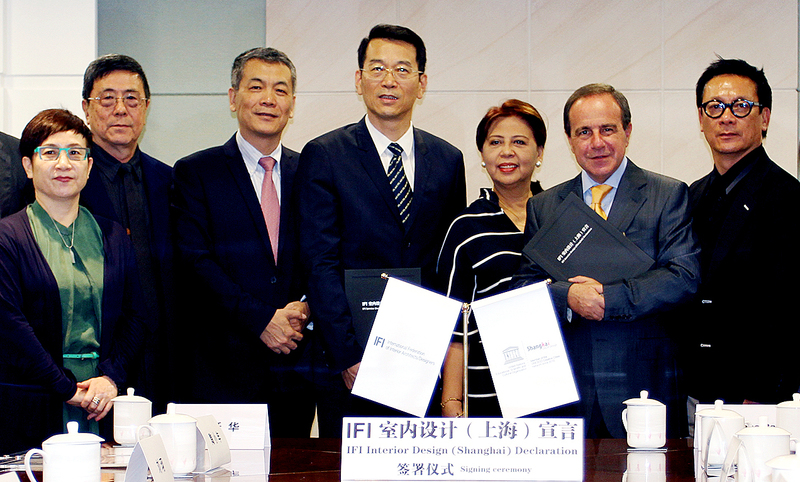 IFI and the China National Interior Decoration Association (CIDA) are pleased to announce the official adoption of the IFI Interiors Declaration by the City of Shanghai, in China. The adoption certificate was signed on 9 September 2016 by IFI President Sebastiano Raneri and Chen Yue Hua, Vice Director of the Leading Group for the Promotion of Cultural and Creative Industries of Shanghai, at a ceremony attended by representatives of IFI, CIDA and the Shanghai Interior Decoration Association (SIDA). Having joined the UNESCO Creative Cities in 2010 as a City of Design, Shanghai has put design at the core of its sustainable economic growth. With the recent IFI Interiors Declaration adoption it confirms its support of Interior Architecture/Design and all creative economies. See pictures of IFI DA ceremony.